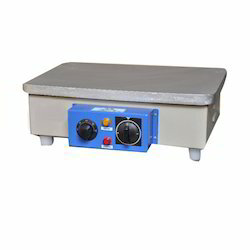 Our product range includes a wide range of laboratory telescope, tds and salinity meters and rectangular hot plate. We are one of the reputed suppliers and traders of Laboratory Telescope, known for high optical quality and better image formation. These are designed with precision and are widely used for general Laboratory work. 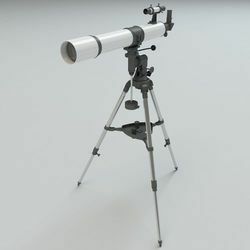 Our range of Telescope are available in varied models and confirms on international quality standards. Further, these are available in customized solutions to meet client's requirements and specifications. Astronomical Telescope, Each Telescope Includes : Complete Telescope Tube, Stand, Eye Pieces, Variable Barlow & Instruction Manual. Our quality range of TDS and Salinity Meters are used for for monitoring Salt Contents in Natural Water, Drinking Water, Treated Water, Waste Water, Brine Solutions, Sea Water and Soluble Salts in Soils. 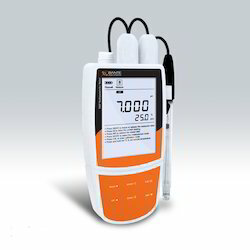 Widely appreciated for high stability and accurate readings, these are sourced from reputed manufacturers of the industry. 1st Lab-15 : Digital TDS Meter 3 1/2 digit LED Display with facility for temperature compensation and Digital cell constant adjustment along with TDS cell & other accessories (Table Model). 1st Lab-19 : Portable TDS Meter 3 1/2 digit LCD display. Battery operated. 1st Lab-28 : Digital Salinity Meter 3 1/2 digit LED display with salinity cell and other accessories . (Table Model). TDS Cell (cell constant 1.0) 900. TDS Cell (cell constant 0.5). Looking for Laboratory Telescope ?